This save file has all of the space craft mankind has successfully sent to Mars in their 'current' orbits. This save also doubles as a mission as it is up to you to land the InSight lander. Mission profile: 1) Keep InSight powered on the way to Duna. 2) Check you are happy with the landing site (There is monopropellant). 3) Land. 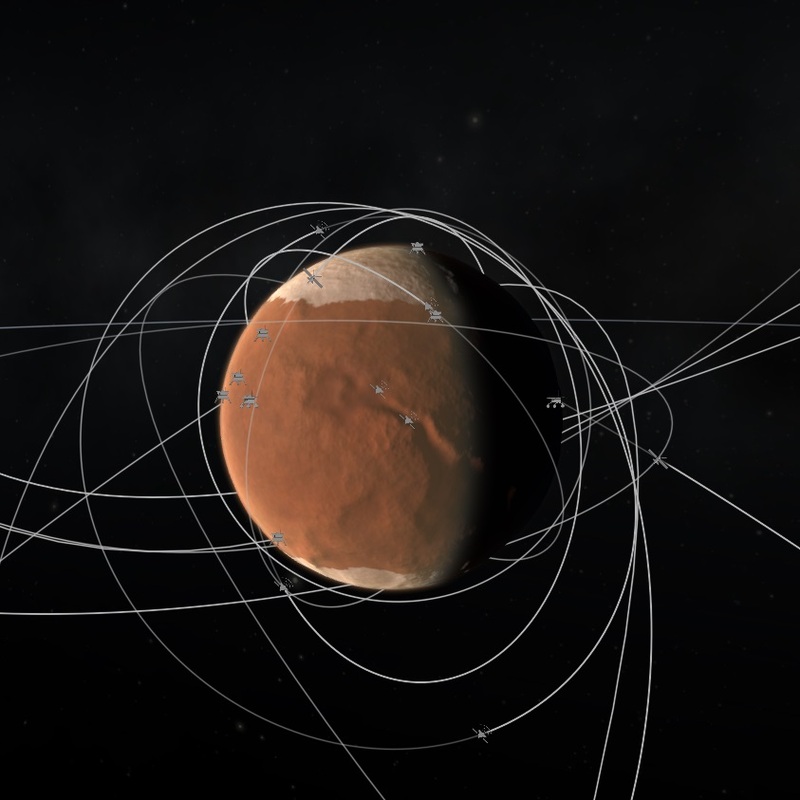 This save is made so users of 1.2.2 up to the current version of ksp can comfortably explore the network of probes mankind has sent to Mars. It is all stock so no mods are required however it is complemented well with Stock visual enhancements etc. Here is a list of the spacecraft in this save file: Marsnik 1, Mars 1, Mariner 4, 6, 7 & 9, Mars 2 & 3, Viking 1 & 2, Phobos 1 & 2, Mars Observer, Mars Global Surveyor, Mars Pathfinder, Nozomi, 2001 Mars Odyssey, Mars Express, Beagle 2, Spirit, Opportunity, Mars Reconnaissance Orbiter, Phoenix Mars Lander, MAVEN, Trace Gas Orbiter, Mars Cube One and InSight.